At any other time, the straggly-bearded look is not one that most guys, including hockey players, are looking for. This is not the case during the Stanley Cup Playoffs and, once again, NHLPA members are growing their hair to show they care in support of the NHLPA Beard-a-thon, an initiative that benefits the Canadian Heart & Stroke Foundation. For the second consecutive year NHLPA members are teaming up for a good cause, as the players put away their shaving kits for the upcoming Stanley Cup Playoffs. In true playoff tradition, Canadian fans are also being encouraged to join in to help raise funds and awareness for the Heart & Stroke Foundation. 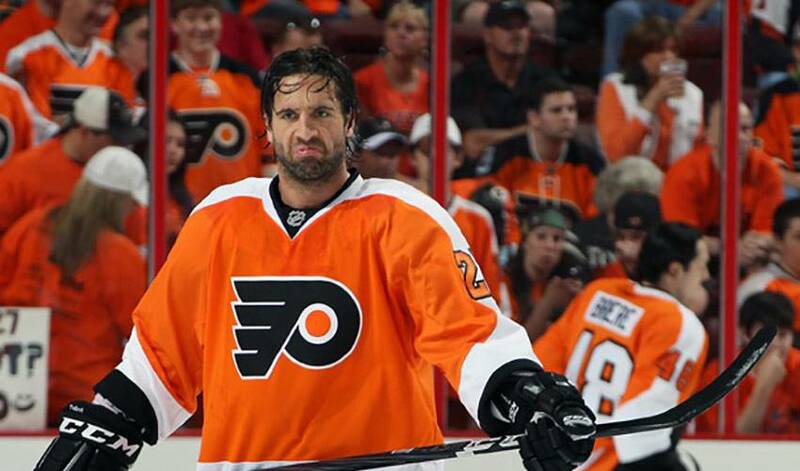 Talbot, in his first season as a member of the Flyers, after playing several campaigns with the Pittsburgh Penguins, is somewhat more confident in his expectations. Raymond, a native of Calgary, who was selected 51st overall in the 2005 NHL Entry Draft, is anticipating another round of good-natured ribbing from his teammates once the Beard-a-thon officially gets under way. Talbot, the 234th overall pick in the 2002 NHL Entry Draft, will be looking to keep his teammates in line when it comes to their participation. Raymond insists he won't be trying to get a head start on the proceedings. Both players are simply hoping to be fashioning their new look for a long time once the puck drops on the Stanley Cup playoffs. Raymond, who was part of the Vancouver team that made it to the Cup finals last year, is hoping for the same. Mason Raymond likes to be forward thinking in his day-to-day approach to life rather than stare into rear-view mirror reflecting on what could have been. Last stop of two-day Goals & Dreams event with KidSport Alberta gives Cochrane minor hockey players the opportunity to meet local hockey idols.